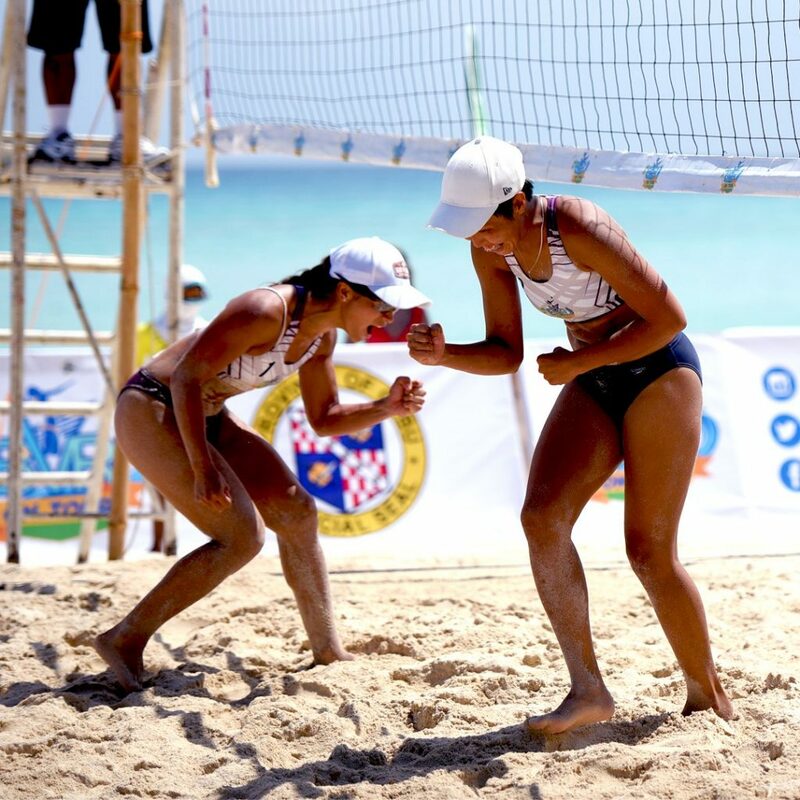 Negrense Bea Tan and Dij Rodriguez of Perlas Lady Spikers bagged their second title of the year after ruling the Beach Volleyball Republic On Tour Santa Fe Open on Sunday at Bantayan Island in Cebu. Tan and Rodriguez captured the leg championship after defeating Ilonggas Roma Joy and Roma Mae Doromal of National University-Boysen, 21-18, 21-16, in the gold medal round. On their way to the finals, Tan and Rodriguez ousted Air Force 1’s May Ann Pantino and Jozza Cabalza, 14-21, 21-18, 15-12, while the Doromal sisters topped Bacolod’s Bianca Lizares and Margie Señas, 24-22, 21-19. Lizares and Señas will settle for a fourth place finish in the competition following a 15-21, 13-21 defeat to Pantino and Cabalza in the battle-for-third place match.